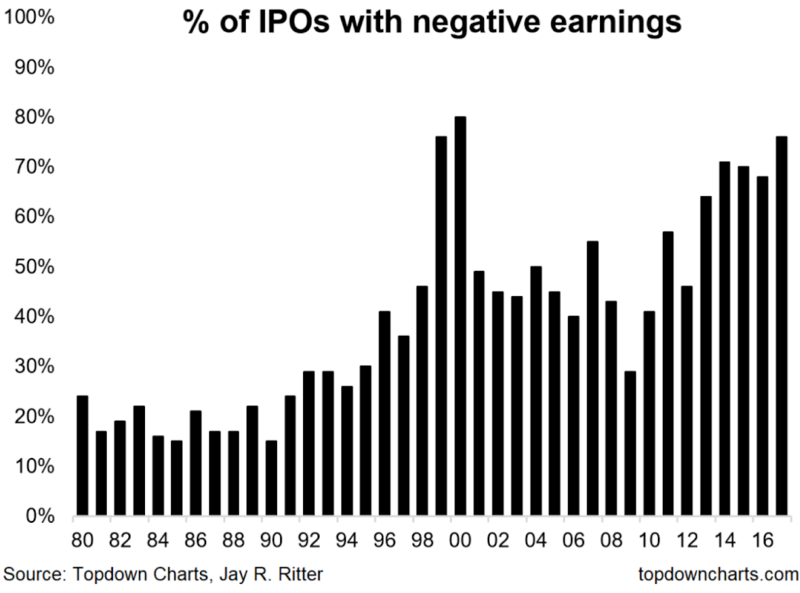 As the chart from Topdown Charts shows about 76% of recent IPOs have gone public with negative earnings. That’s a near record, matching 1999 and only surpassed by 2000 when the dot.com bubble burst. Why is this an ominous sign? Historically the percentage of risky IPOs increases dramatically near market tops. That’s because investors have become overly optimistic and are willing to make increasingly speculative bets. And that also spells opportunity for venture capitalists and bankers to sell and profit from increasingly risky IPOs as long as investors are willing to place their bets.